A pretty town crossed by Van river where hotels, restaurants and banks are always available. Ninh Binh is endowed with numerous historical sites from DInh, Le, Ly, Tran Dynasties and surprising beauty spots such as: Hoa Lu ancient capital, Tam Coc-Bich Dong, Cuc Phuong national park, Van Long natural Reserve, Kenh Ga floating village and Hotspring, Phat Diem stone Cathedral ... which are easily accessibe from Ninh Binh town. Depart from Hanoi at 8am. 10h00 Arrive in Hoa Lu, visit the the two temples of King Dinh And King Le in the 10th century, finding out the heroic histories of this two Kings in Chinese Wars Riding for 10 km to Tam Coc. Lunch in Tam Coc (picnic or normal). Boat trip through Dry Ha Long bay from 13:00 to 16:00. Visit Tam Coc. 16:00 Get on Bus and drive to Cuc Phuong. 17:30 Arrive in Cuc Phuong. 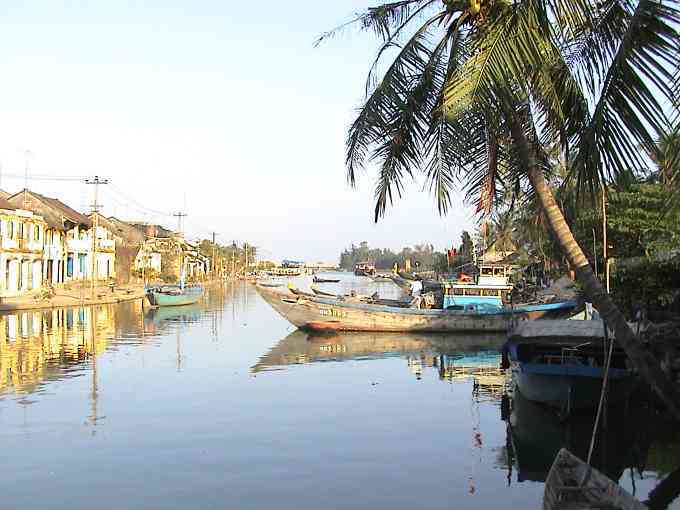 Dinner and Overnight accommodation in Cuc Phuong. Fire party by the lake (optional). Breakfast at 6:30. Walk to visit Ancient trees, back Park Centre for taking bike then ride to Cave of the prehistoric man. Picnic lunch inside Cuc Phuong National Park. Afternoon: Ride to visit Endangered Species Centre. Depart from Cuc Phuong at 15:30. Arrive in Hanoi at 18:00. End of the tour.